We have arranged a private transport service to take us and bikes to the airport. Expensive, but all other options seemed too unreliable. Today we visited the Küçuk Ayasofya Camii (Little Hagia Sofia), formerly a church, now a mosque. It was quiet there with relatively few visitors, unlike many other tourist locations. Then a trip to the end of the tram line to see some of Istanbul beyond the tourist boundaries. There is a lot of dense housing, mainly in apartment buildings up to 5 or 6 storeys high. Some taller condominium-style buildings are going up. The suburbs look similar to other urban areas, but the size of this city means that they go on for tens of kilometres. The tram is cheap, fast and well patronised. 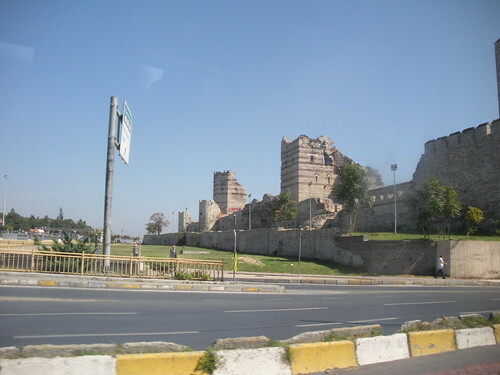 It goes past the old city walls, providing a good view of an area that is not really in walking range. 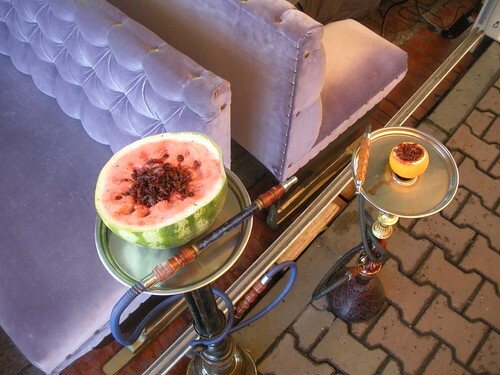 Turkey may be the only country where you can smoke a watermelon! We stayed on and travelled back in the opposite direction, through the city and across the Golden Horn to Tophane to visit the Istanbul Modern, an art gallery that opened only 5 or so years ago. It is housed in an old warehouse right on the Bosphorus, giving it good views, but making it hard to find. 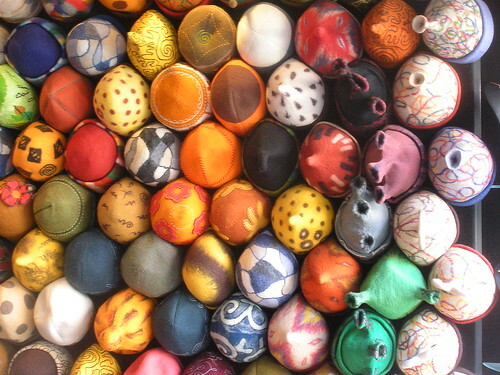 It was interesting to see the work of Turkish artists who are completely unknown to us. We emerged to find messages from Jonathan who has been unwell and was admitted to hospital, but were reassured after talking to him that a full recovery is expected. While some cities we have visited have been well supplied with dogs, Istanbul is cat city. In some of the outdoor restaurants, cats are under the table and even on the table and they boldly return for another try after they have been chased off. This entry was posted on 18 September 2010 at 3:54 pm and is filed under Turkey. You can follow any responses to this entry through the RSS 2.0 feed. You can leave a response, or trackback from your own site.